For your next vacation, why not look into a floating lodge in the Canadian wilderness, a submerged resort in Florida or even a lifeboat hotel in the Netherlands? From the United States to the United Arab Emirates, from Sweden to the South Pacific, here are six hotels that are perfectly designed for the nautically inclined. 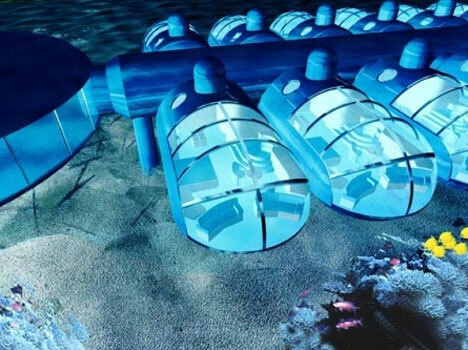 Unannounced, South Pacific: The Poseidon Mystery Island is competing for the title of the world’s first luxury underwater resort. 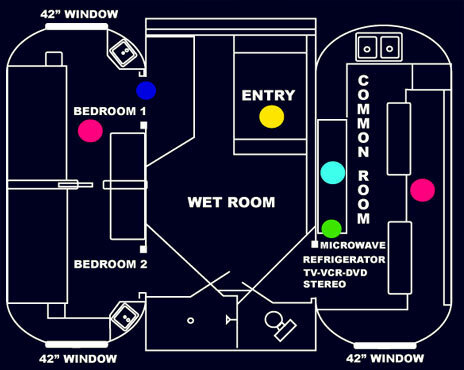 The complex will be designed by Bruce Jones, famous for designing a series of $80-million luxury submarines with their own private state rooms and plush carpets, designed for voyages of up to three weeks in length. The project will cost $105 million and will be submerged next to a private island at a depth of 40 feet with an amazing view of the ocean floor. 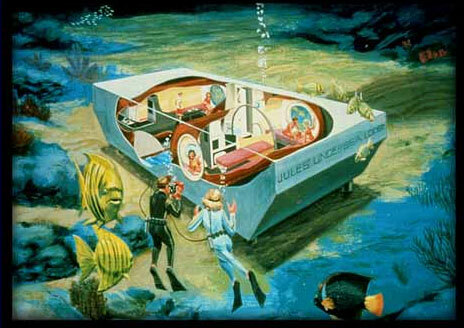 Key Largo, Florida: Jules’ Undersea Lodge was once an underwater research habitat but is now open to the public (if they can afford to pay). 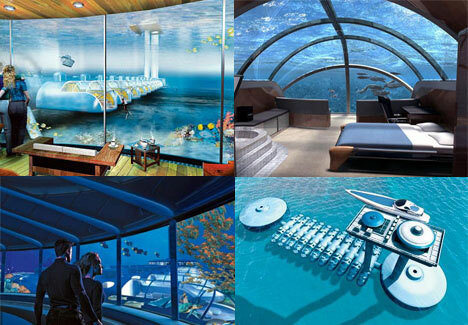 These lodgings, once submerged, are completely cut off from the outside world accept via diving access. 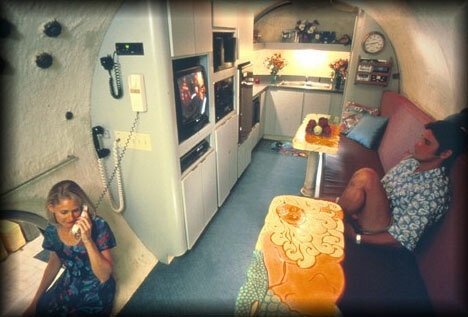 Guests can stay in them under the water for days and enjoy air conditioning, hot showers, music, television and abundant food and drink. 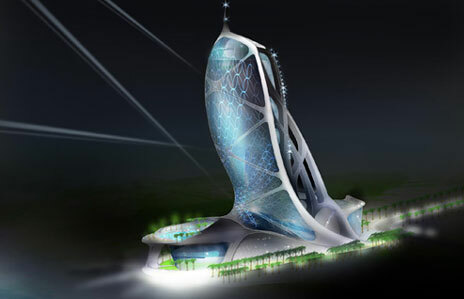 Dubai, United Arab Emirates: The Hydropolis is set to be the world’s first luxury underwater hotel when it is completed. 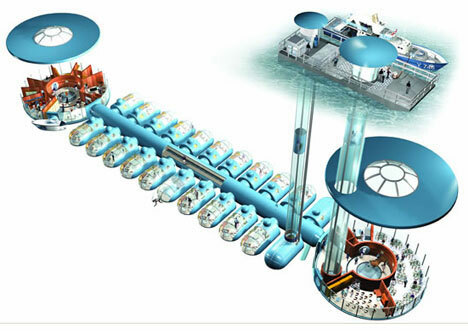 It will have a land station with a tunnel connecting guests to the 220 submerged suites by train. 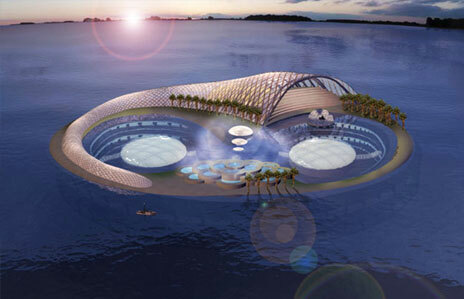 Other above-water amenities include a concert hall and ballroom. The above video shows a virtual tour of the construction process-in-motion. 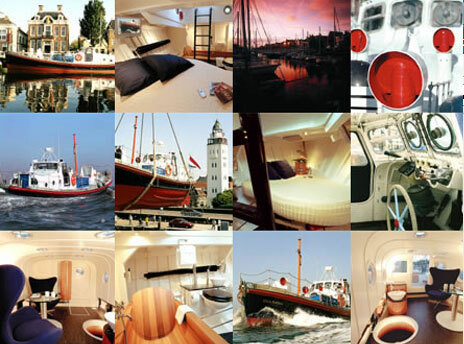 Harlington, Netherlands: The Lifeboat Hotel was used for over 100 rescues throughout the middle of the 20th century and saved dozens of lives. The ‘hotel’ is still seaworthy and be taken out during the day for excursions, then in the morning and at night elegant meals are delivered to the ship. This portable hotel is owned and operated by a group also responsible for converting an adjacent crane and lighthouse into hotels. 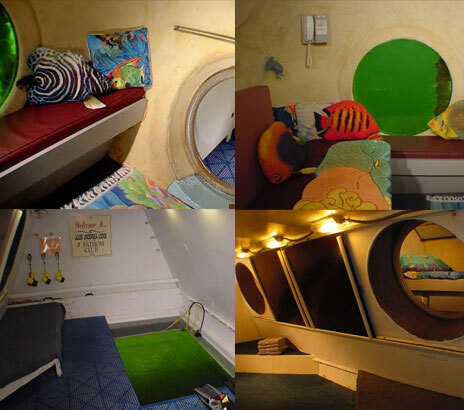 Stockholm, Sweden: The Otter Inn is part art project, part underwater accommodation, and is part floating and part underwater as well. 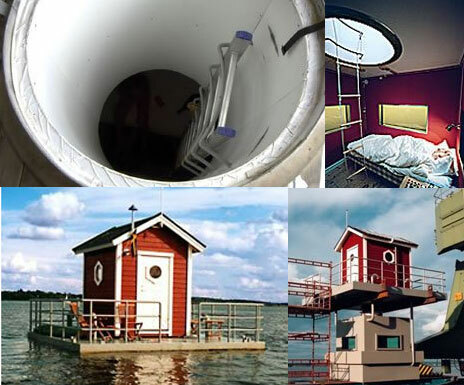 An underwater sleeping quarters is submerged below a strangely floating traditional Swedish red house. Guests are ferried by boat to their lodgings and then delivered meals and given free reign to canoe to a local uninhabited island as well as to swim, fish and sunbathe. 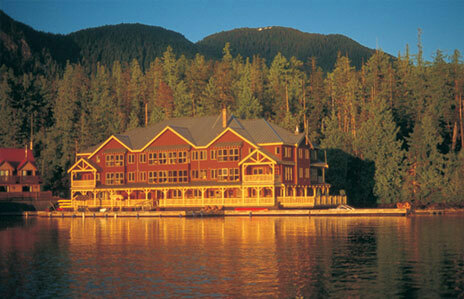 Vancouver, Canada: The King Pacific Lodge is the most lavish resort lodge in the world, moored deep in the Canadian wilderness and designed to be entirely luxurious. Resting on the hulls of converted barges, the lodge prides itself on privacy and exclusivity, and can only be reached by private planes that land on the lake. 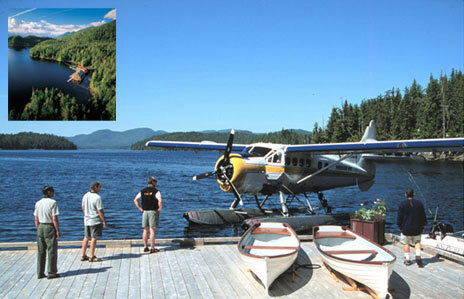 offers fly-in fishing, kayaking and spa treatments as well as access to amazing views and wilderness hikes.